Lighting is a fascinating natural force that’s captivated our attention for millennia. We thought scientists had a handle on how it all worked, but nature still has a few surprises for us. 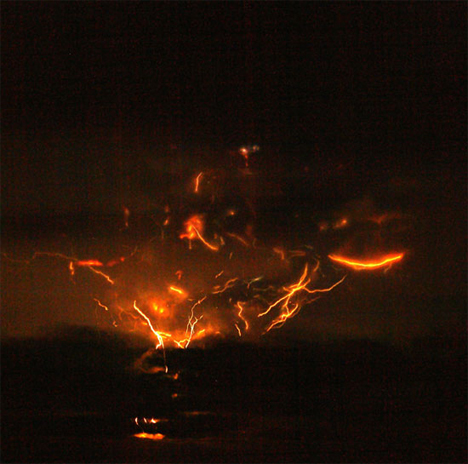 Like when volcano seismologist Steven McNutt and a team of colleagues recently discovered an entirely new type of lightning. Intrigued by lightning that accompanied the 1992 Mt. 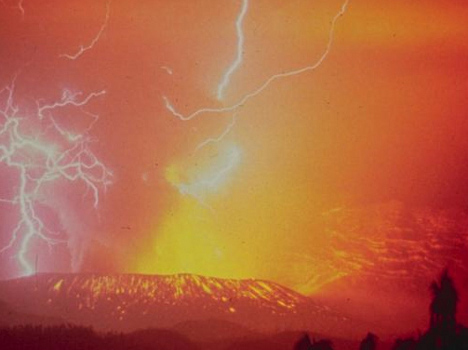 Spurr eruption, McNutt decided to study volcano-related lightning. He got his chance in March of 2009 when Alaska’s Mt. Redoubt erupted. The research team had to set up their Lightning Mapping Arrays some 50 miles from the volcano in order to have access to electricity and internet. But their equipment – essentially old TV antennae tuned to pick up the frequency lightning radiates from (channel 3, if you’re wondering) – was still able to detect the lightning occurring inside the volcanic ash plume during the volcano’s eruptions. What the team discovered was basically a new type of dry lightning. Dry lightning forms from the same types of polarizing particles as thunderstorm lightning, but requires no precipitation. What scientists don’t quite understand yet is how the ash plume of an erupting volcano becomes electrified. That’s something that Steven McNutt and his colleagues – as well as many other interested teams – hope to discover soon. 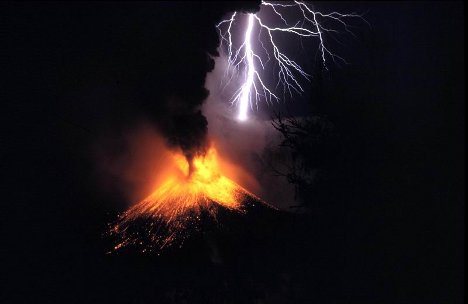 In the meantime, they say it’s clear that the lightning that accompanies a volcanic eruption is a distinctive, previously-unnamed type that deserves much future research. See more in Earth & Nature or under Science. January, 2010.